Whether you need a single-camera and wireless mic to document an individual speaker or multiple cameras to cover a large performance, Vaudeville Pictures has the experience and equipment to meet your needs. Book today to save the date for your upcoming event. Multi-camera coverage of this annual competition. Single camera coverage of this award winning author and journalist as she gives a talk on subjects covered in her book; The Diversity Index. A short video introducing Alexis to potential fans, while giving her current growning fanbase some insite to how Alexis felt abut where she had been and where she was going at the moment of her f first Boston apperance. 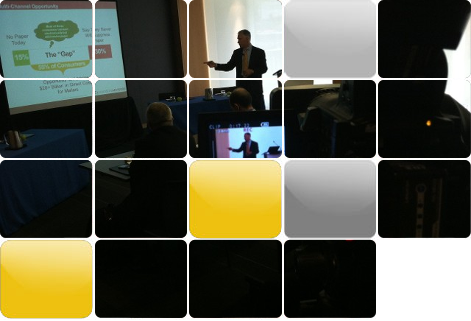 An edited presentation of the multi-camera coverage of this annual competition. A music video cut from live coverage of a fashion shoot for the artist's fall clothing line. PROJECT OBJECTIVE: Live roving interviews captures the audience reaction moments after the performance of Saturday Nite Special and explores how the song came to be. PROJECT OBJECTIVE: Multi-angle presentation of the theater production Crazy for You. An abridged presentation of the 2011 Spring Lecture.